Computer Security: UK government to fine firms with loose security. We come across news concerning cybersecurity now and then. From data theft to computer security, everything is at stake. Hence, government authorities in the UK are now taking legal actions against organizations that have loose cyber security plans. This will result in the tight security measures concerning the computer security. According to the latest Office for National Statistics (ONS) reports, business cybercrimes in the UK grew 63%. However, the overall fraud and computer misuse dropped in a 12-month period to September 2017. This shows that the public is taking computer security seriously. The government in the UK is tightening the laws for better computer security. Companies that are not strict for cyber-attacks will have to pay fines of up to GBP 17 million (USD 24 million). Mostly, the government expects firms in the energy, transport, water, and health sector to have the tough measures. The new rules for computer security will come into force from 10 May. 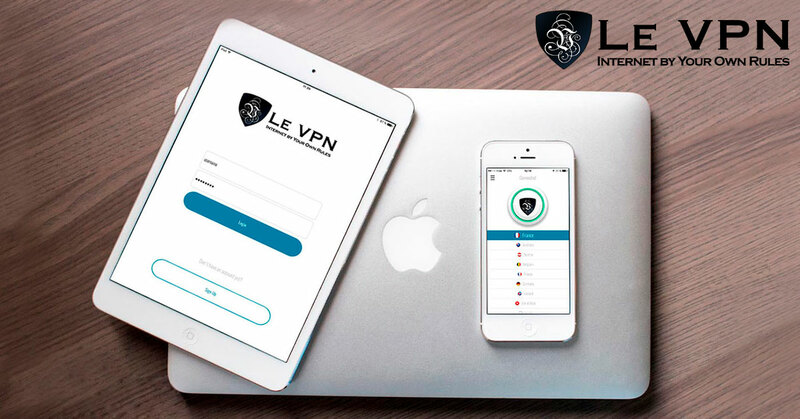 Le VPN allows you to enhance your data security. Any data passing through the internet connection gets encryption. Hence, no one can reach your sensitive data. The Le VPN’s servers offer a dense layer of computer security that makes sure that your online activities are safe. When you use Le VPN, your computer is securely hidden behind our many VPN servers. This way, no one can invade your data. How Is Le VPN Helpful? With Le VPN, your original IP is not in use. You replace the original IP with that of Le VPN. As a result, no one will come to know your original location. Therefore, you can bypass geo-restrictions easily. For example, you can unblock US websites even if they are not accessible in your area. In simple terms, that is called IP masking. E.g., if you are in the UK, and unable to access your favorite US teleserial. Then just use Le VPN’s US IP address. And you are done! You are ready to enjoy the title series of your choice. This is also true if you want to unblock sports streaming websites, music videos, etc. with the VPN service. Le VPN has 800 VPN servers in 114 countries. Le VPN is among the most reliable service provider for VPN services. There are some providers who offer free VPN service to attract the customers. However, you have to select the VPN provider carefully. Such service providers may misuse the information for financial gains. Hence, it is wise to pay a small amount for the security of your precious data. Additionally, Le VPN offers seven days trials with a money back guarantee. Think online security, think Le VPN!